Home > More News > Did You Know? 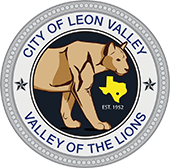 Did you know, the City of Leon Valley has a new advisory committee? The Sign Code Update Advisory Committee, is a new committee that guides the signage component of the City’s on-going process to update its development regulations.